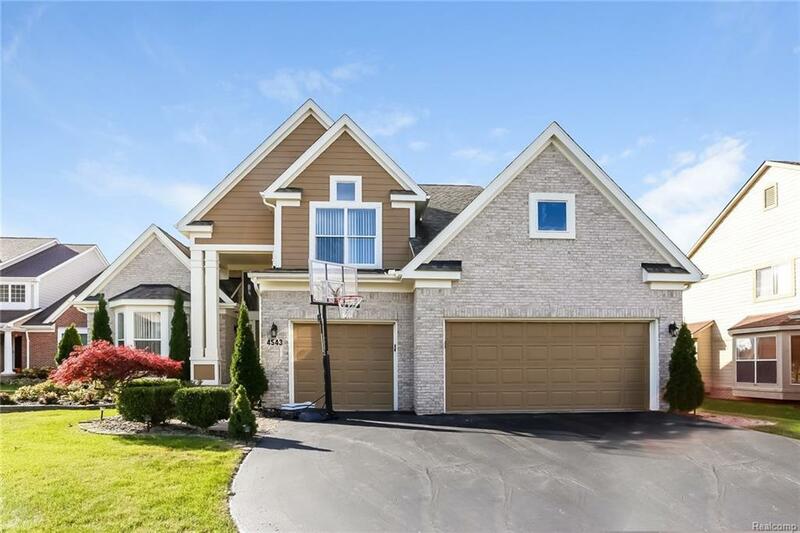 This gorgeous 4 bedroom, 2.1 bathroom home in West Bloomfield Twp will give you generous space to make all your own. An inviting floor plan on the main level begins with a roomy living room awash in natural light. Head into the dining room and you?ll love the wide-open area that welcomes you. Get cozy or move freely through the family room with a fireplace and pristine flooring. Move to the gourmet kitchen and you?ll fall in love with the stylish efficiency, punctuated by generous counter and cabinet space. Downstairs you will find a state of the art basement that was finished in 2017. Head outside, and you can lounge on the expansive, beautiful composite deck (installed in 2017) overlooking a beautiful yard. The Upstairs, 4 bedrooms and 2 bathrooms offer plenty of room to accommodate everyone during rush-to-get-ready mornings. Complete with an abundance of space, this stunning home won?t last long.